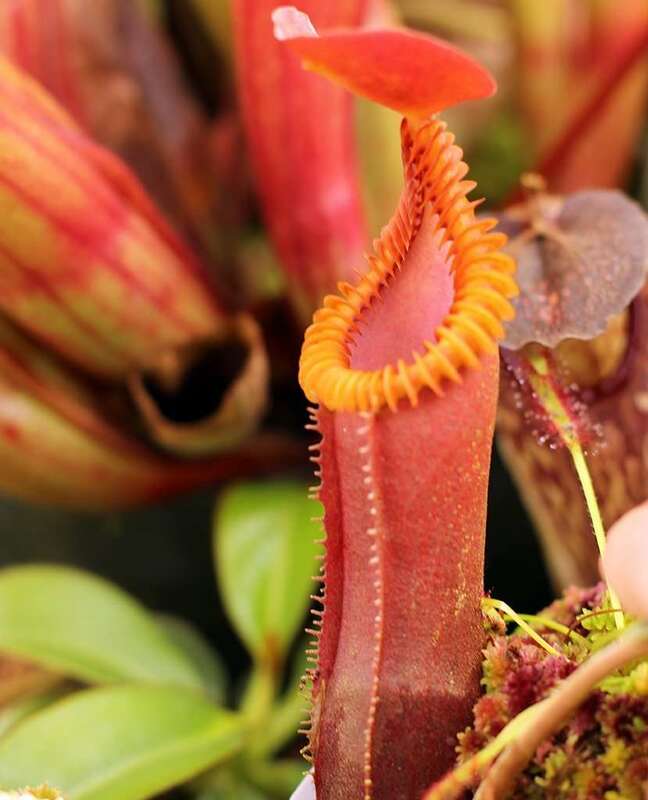 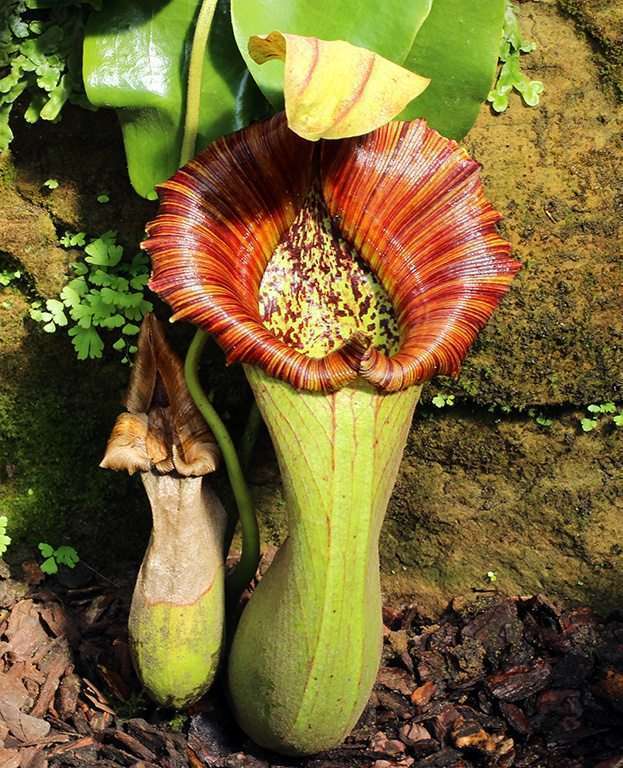 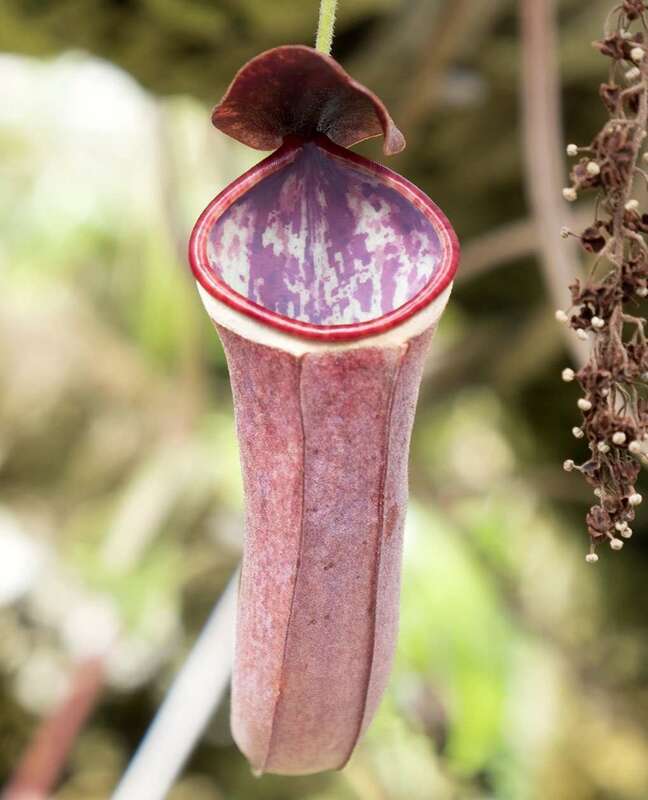 The literal translation of sanguinea is “blood red” – a suiting name for a tropical pitcher plant with pitchers so deep red that they almost appear purple. 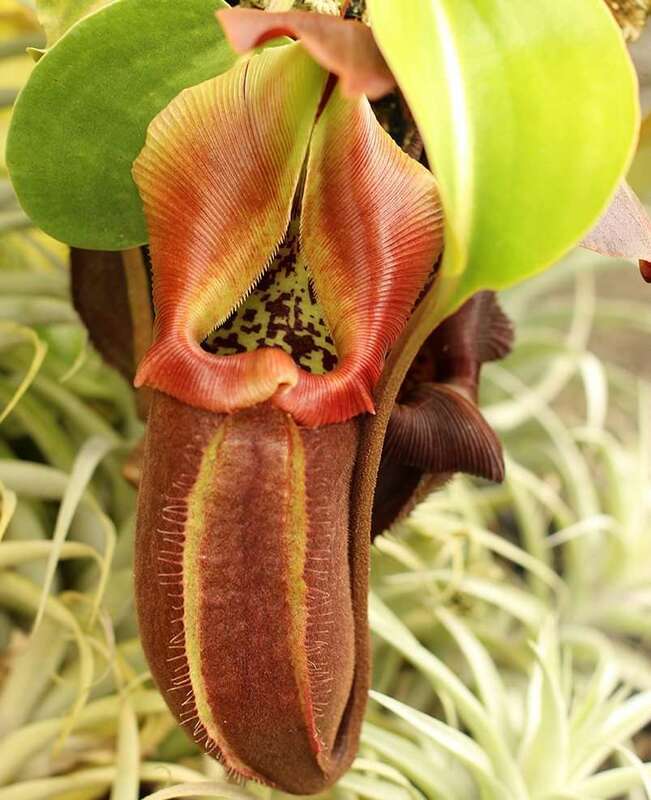 Ironically, there’s also a completely green variety. 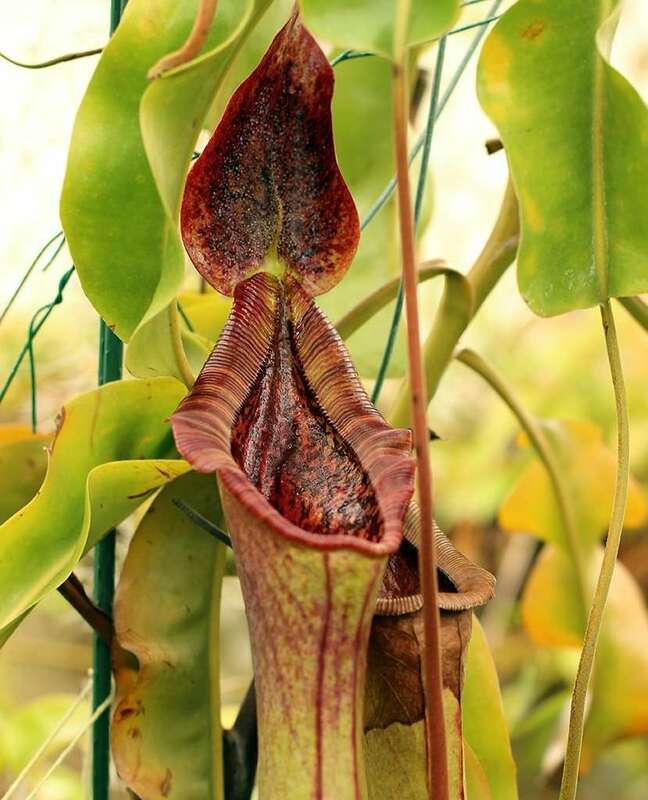 Nepenthes sanguinea laughs in the face of your Latin naming conventions. 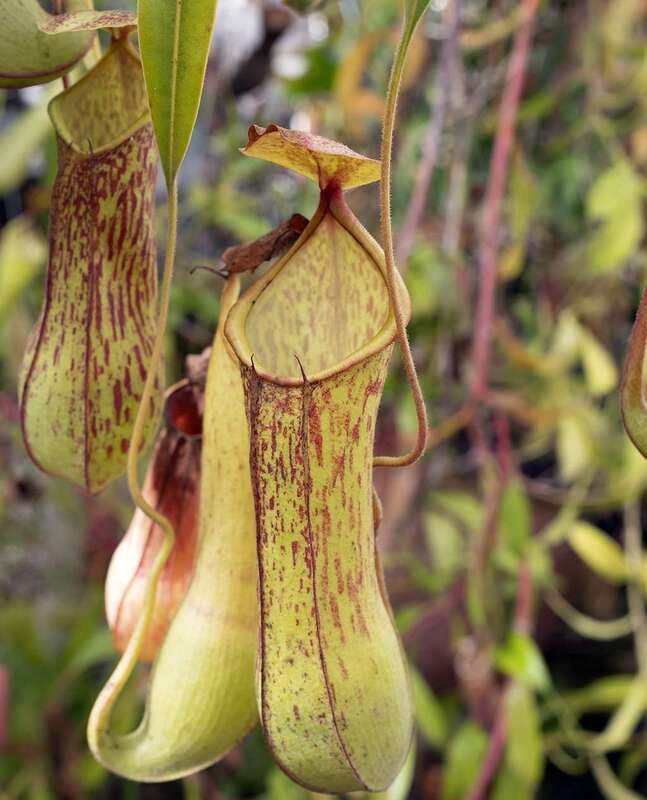 This insectivore naturally grows at an altitude of 300-1800 meters above sea level in southern Thailand and Peninsular Malaysia. 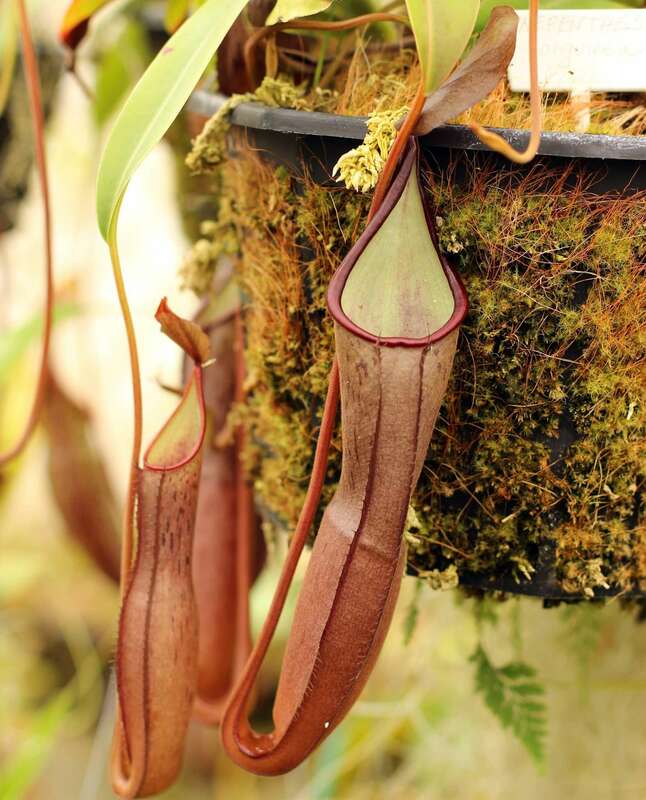 This means is spans lowland, intermediate, and highland Nepenthes territory. 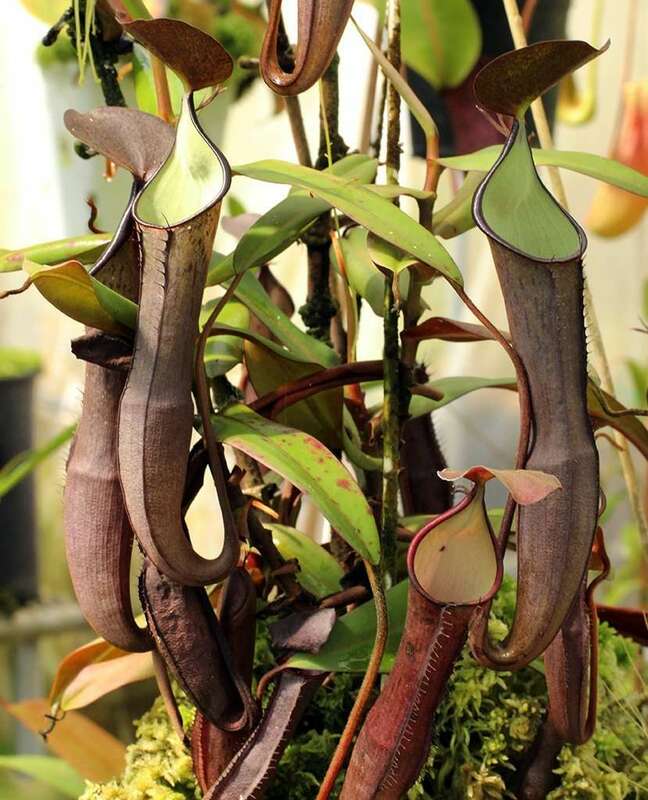 In short, it’s an adaptable plant, a hearty grower, and great for beginners looking to grow a handsome Nepenthes. 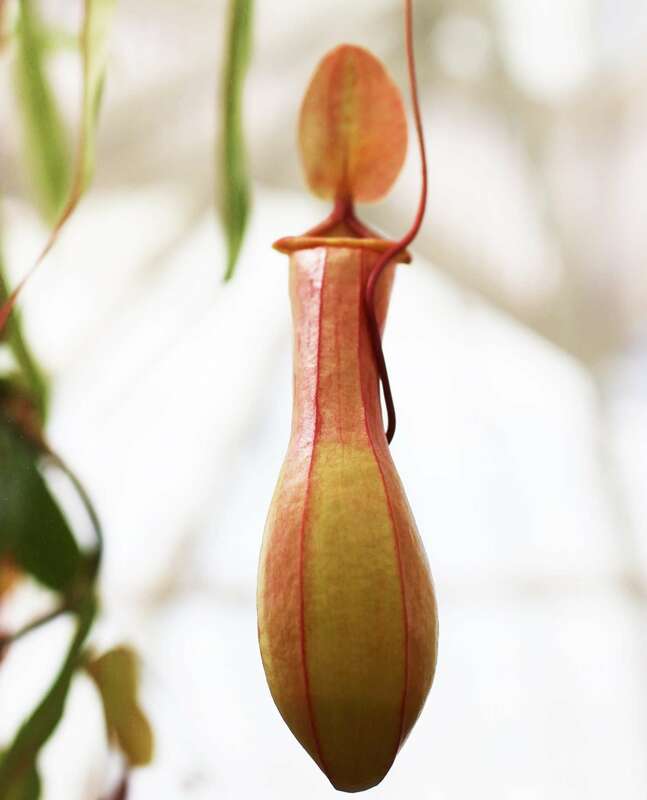 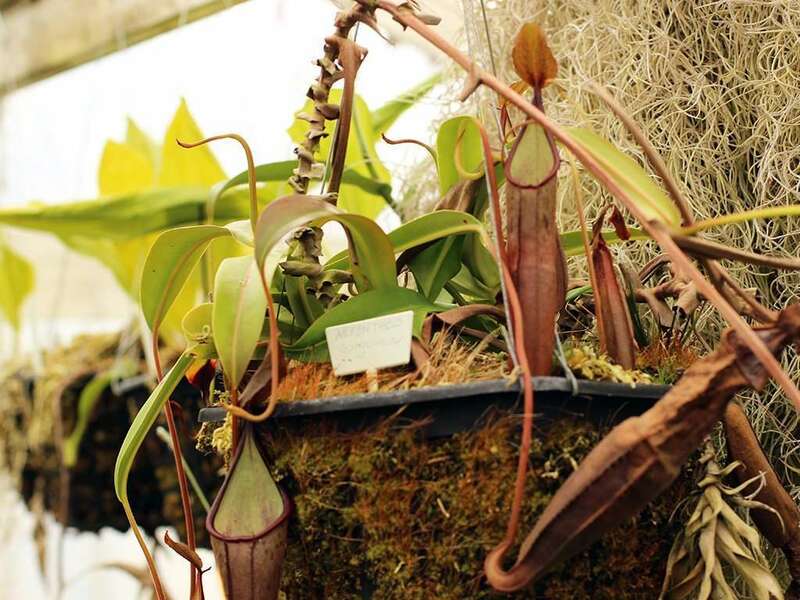 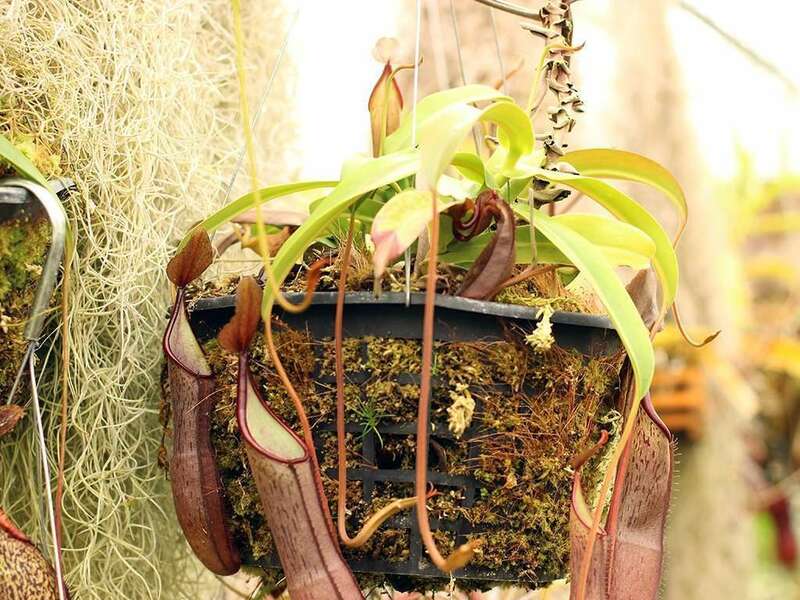 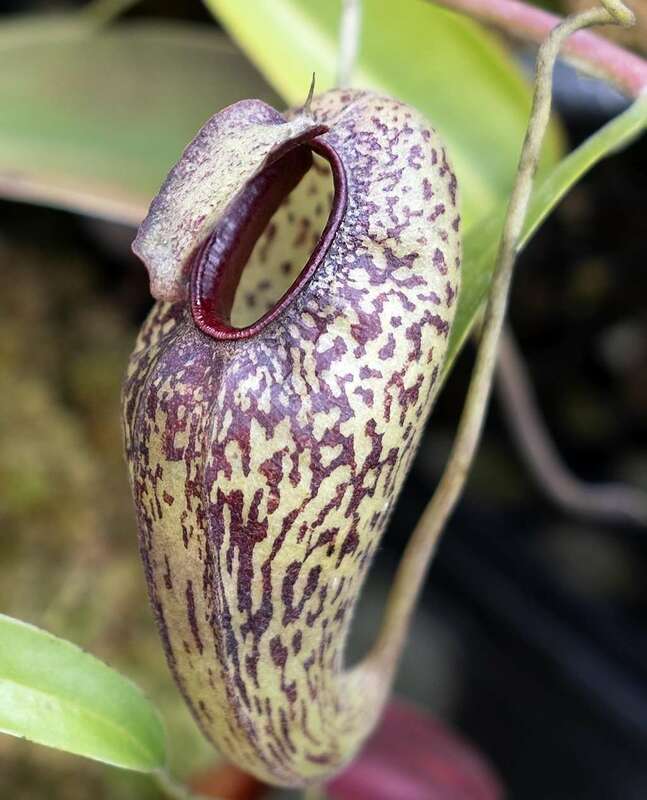 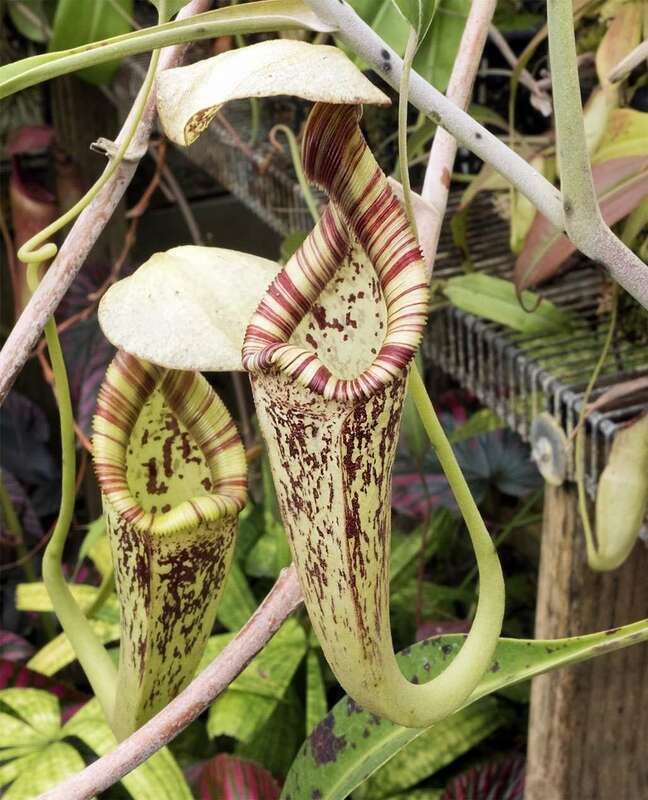 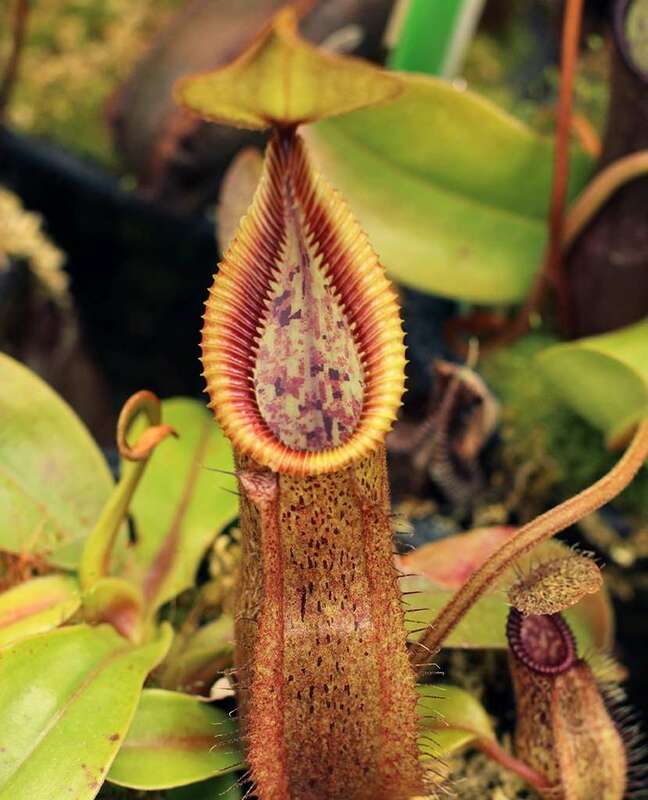 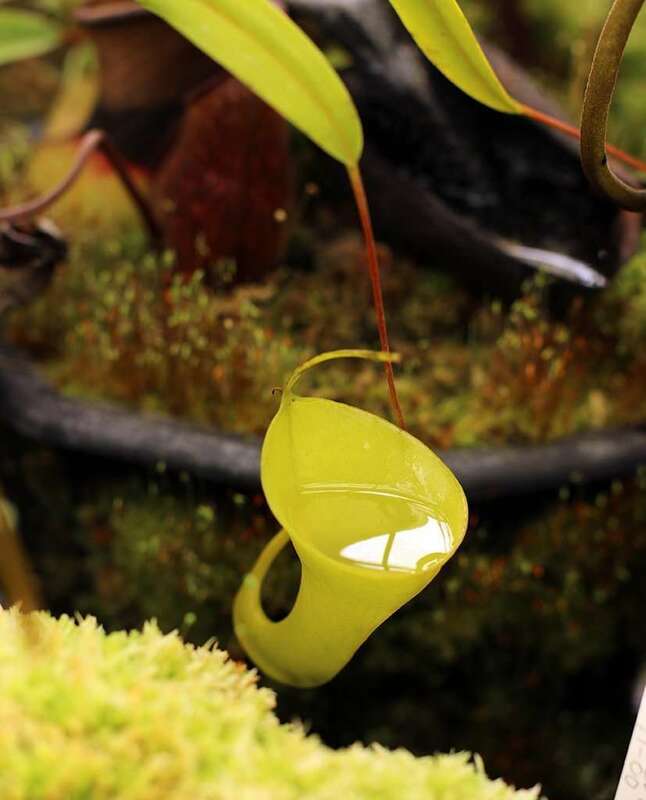 Nepenthes sanguinea pitchers vary from pure green, to blood red, all the way to a purplish brown. 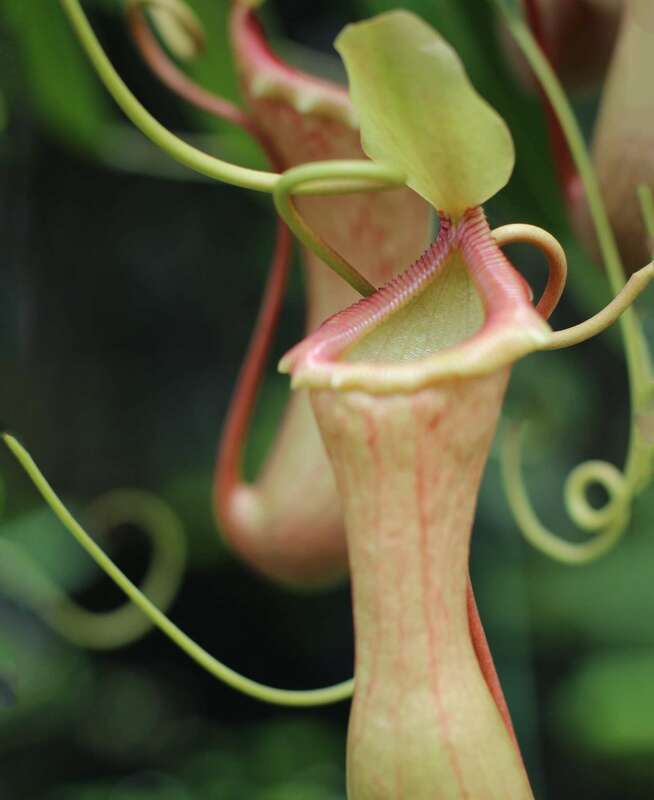 Pitcher interior is frequently pale green and speckled red. 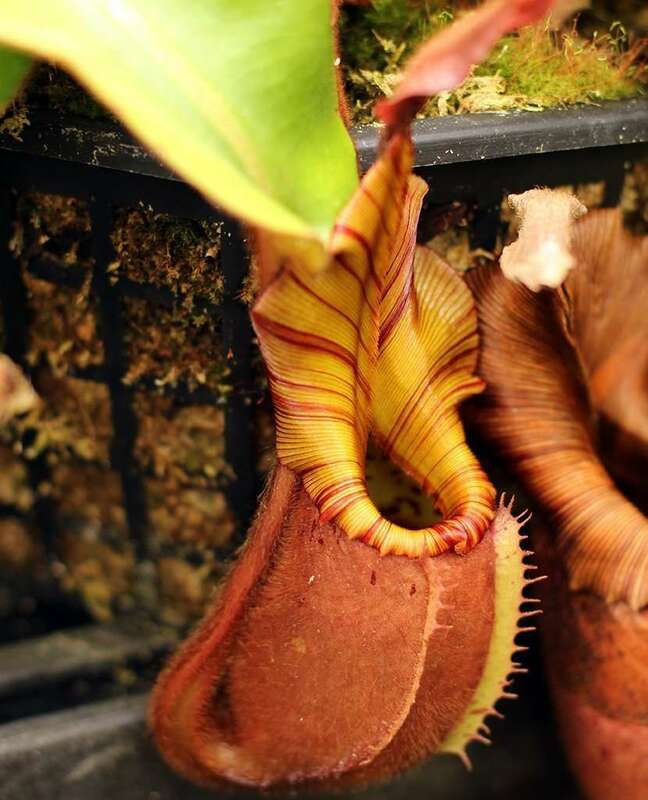 Peristome is thin-to-medium thickness and larger lower pitchers max out at about one foot (0.3 m) with prominent wings and an upturned lid. 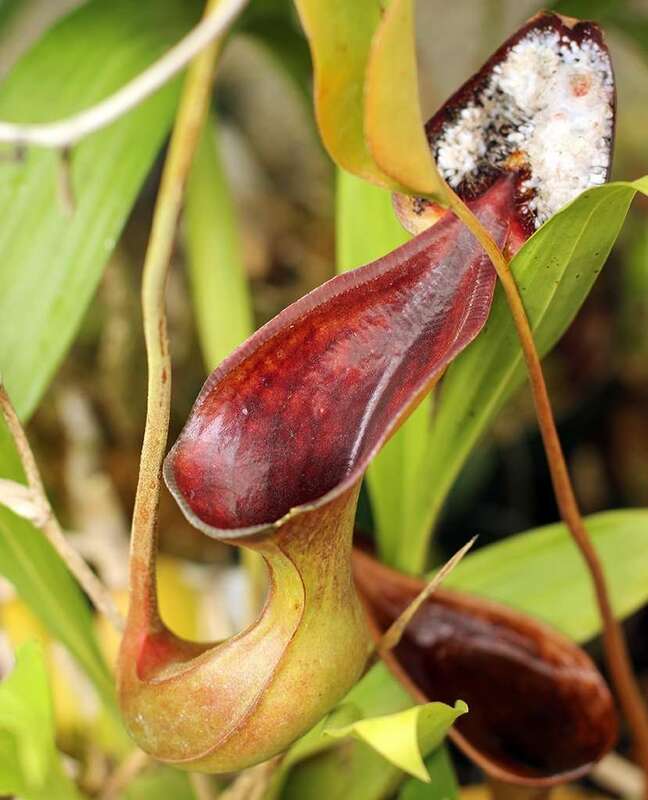 Upper pitchers lose wings, size and color, becoming funnel-shaped and yellow-green with red-striped peristome. 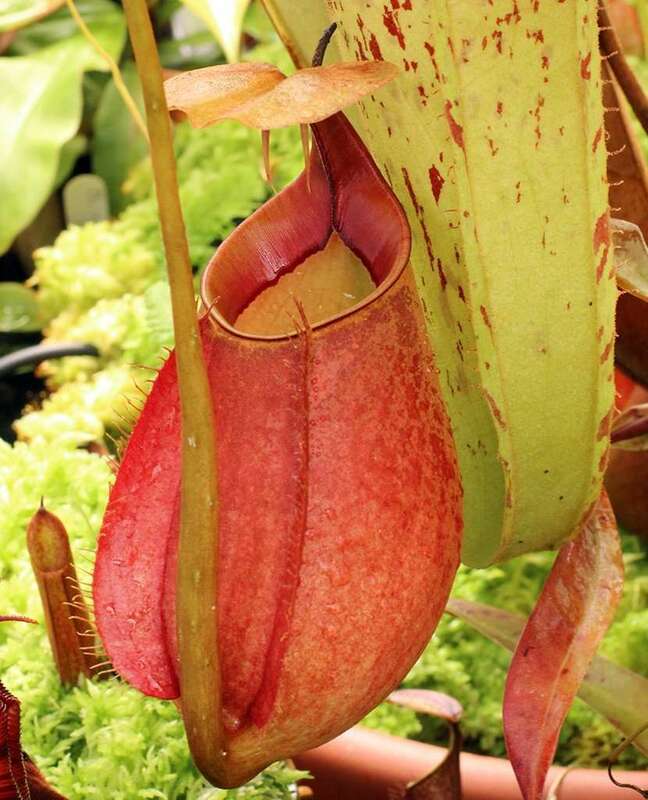 Nepenthes sanguinea is a fast grower, and does great in large terrariums and greenhouses. 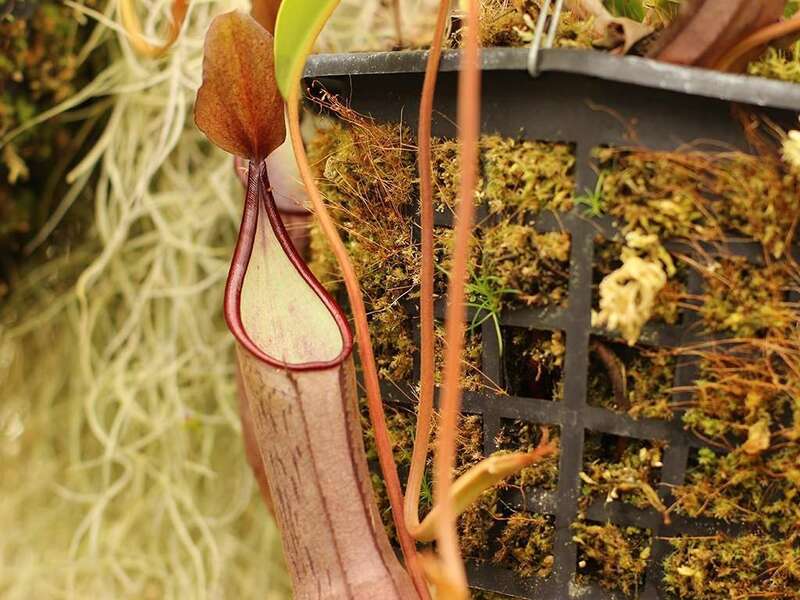 Petioles stay relatively short and narrow keeping the plant compact. 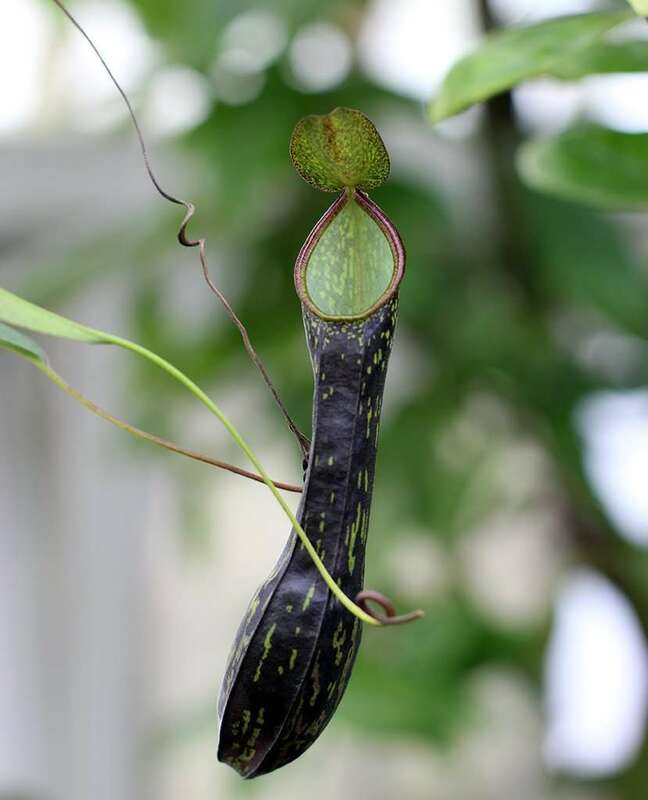 With time, the stem will vine. 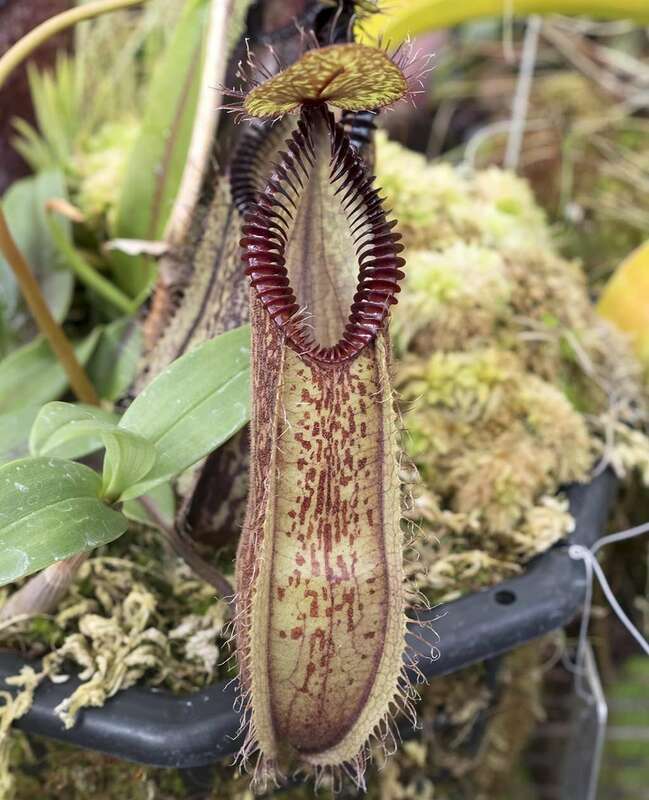 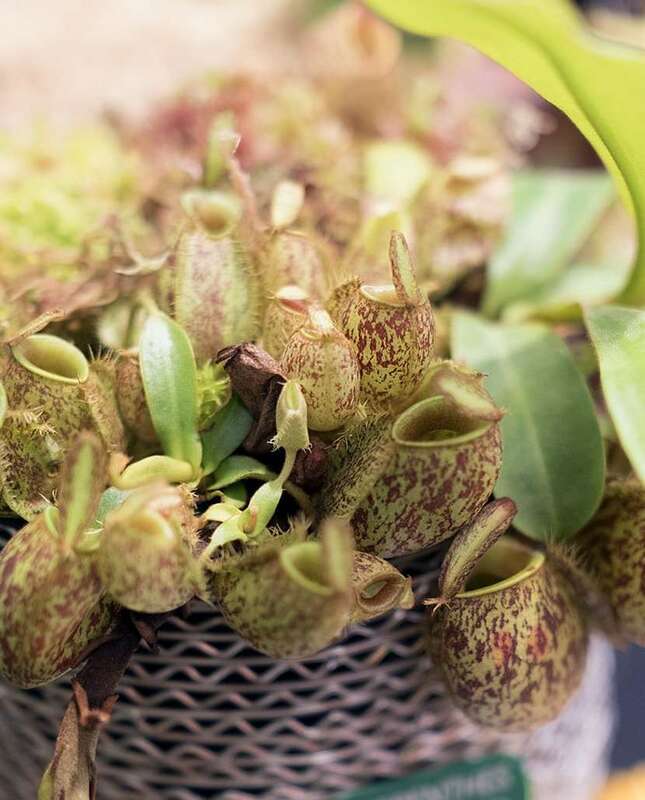 Fun fact: In 1847 N. sanguinea was introduced into cultivation by Cornish plant hunter and botanist Thomas Lobb via Veitch Nurseries in Victorian Britain.